News and tales from the V.League: Vietnam's Professional Football league. 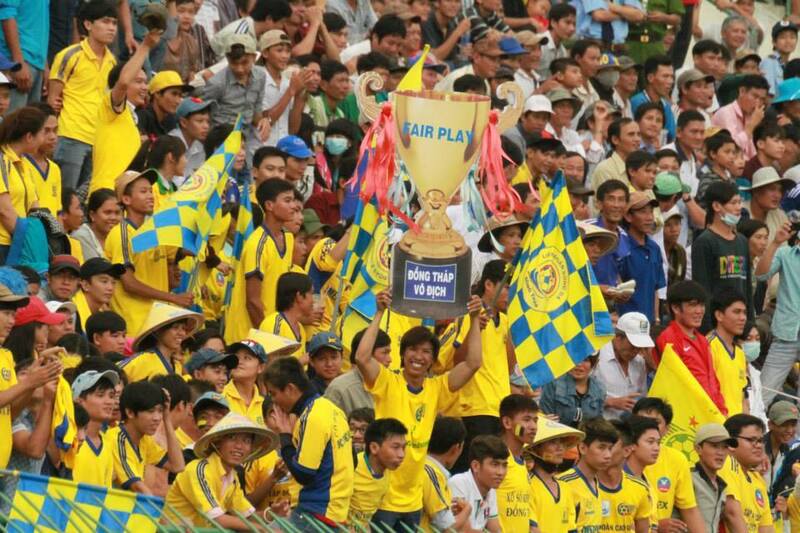 Đồng Tháp secured the VLeague 2 title and a return to Vietnam top division thanks to a 1-0 win over club Hà Nội. Five teams were in with a chance of gaining promotion heading into the final round of fixtures and it was Sanna Khánh Hòa who gained the second automatic spot, while Cần Thơ will vie for promotion through a play-off against the bottom placed team in the VLeague 1. A second half strike from Phan Viết Đàn sealed the vital win for Đồng Tháp, while also ensuring club Hà Nội will remain in the second tier. Already relegated Tây Ninh held on for a surprise draw against second placed Sanna Khánh Hòa. For T&T’s leading striker, Samson, it means a return to one of his previous employers having scored an impressive 43 goals in 49 appearances for Đồng Tháp. For me, the 2015 VLeague season brings at least two more new away days next season. Sanna Khánh Hòa will provide a nice beach being located in the seaside town of Nha Trang, while Dong Thap is located in the beautiful Mekong Delta region, some 140km south of Ho Chi Minh City. Certainly some travel to look forward too. Watched a match at Cao Lanh (Dong Thap) earlier this year. Can hit you up with some information about getting there from HCMC the best way, can also recommend a nice cheap hotel next to the bus station.